DPR Construction's latest cutting-edge project, the University of California San Diego's $227 million Sulpizio Family Cardiovascular Center, was completed under budget and ahead of schedule largely due to a trend-setting team approach that created a "virtual" company among more than 50 key stakeholders on the project. Over the two-year construction phase of the 127,000 square foot building, DPR's project team exceeded their performance benchmarks by employing the company's "High Performance Team" (HPT) approach, which unites the project's main players around a common mission statement and core values. An open dialogue is encouraged among the team, resulting in timely and non-traditional solutions to challenges, and helping to avoid costly delays and budget overruns. The effectiveness of this approach has strongly resonated throughout the construction community, which according to a recent survey by the Associated General Contractors of America is on a growth track and plans to hire more workers nationwide in 2011. Creative teaming strategies such as DPR's will serve to further leverage and influence the efficiency of this rebounding industry. "We appointed a board of directors made up of numerous senior managers from the project's stakeholders to anticipate issues and develop solutions before they became a problem," said Carlos Crabtree, project manager at DPR San Diego. "By establishing a level of trust among the subcontractors, engineers, design team and owners at the outset, they were free to voice their complaints and question the status quo, which transformed the process and enhanced the project." 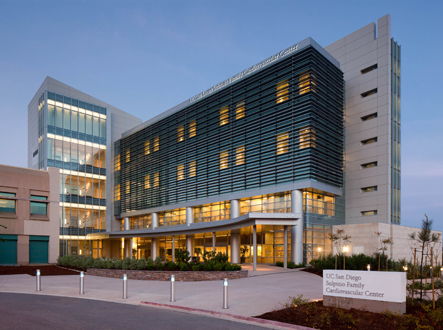 For example, 16 months into construction, UCSD determined that additional patient beds were required, and requested that the fourth floor -- originally designed and permitted as office space -- be converted into a patient floor with 27 additional patient rooms, including five positive pressure and three negative pressure rooms. Since the steel framing, electrical and plumbing on that floor had already been set for office space, it was a significant challenge to accommodate the extensive design change at that stage. However, using the HPT, the team was able to successfully collaborate and adapt the space to the new requirements, and a four-month intensive re-design was successfully completed ahead of schedule. "Many people have said that this was one of the best working environments they've ever experienced on such a large-scale technical project," said Randy Leopold, project manager for UCSD Facilities Design and Construction. "DPR is definitely leading the way in the industry by opening the lines of communication and giving all involved parties a seat at the table." DPR Construction began building the Sulpizio Family Cardiovascular Center, the first dedicated center of its kind in San Diego County, in May 2008. The 76-patient bed hospital includes 22 daybeds for pre- and post-procedure care, 12 intensive-care beds, 15 intermediate-care beds and 27 acute-care beds. The center also features an expansive emergency department with four large operating rooms specifically designed for heart surgery, 14 smaller treatment rooms and an expanded area for heart-imaging services such as multi-slice CT scanning.